Waiting inside the foyer of the Machus Red Fox restaurant on the corner of Maple and Telegraph in Bloomfield Township, Jimmy Hoffa was furious. Scheduled to attend a lunch meeting with high-profile mob leaders Anthony “Tony Jack” Giacalone and Anthony “Tony Pro” Provenzano at 2:00 pm, it was after 2:45 and there was no sign of either of them. The former union czar had been stood up. Seething with anger over being disrespected, Hoffa, a long cemented icon of the nation’s organized labor movement, stormed out of the restaurant and made his way to a pay phone outside a nearby hardware store. Calling his wife of nearly 40 years, Josephine, at his waterside cottage in Lake Orion, he informed her what had happened and that he would be back home in less than an hour to start grilling steaks on the barbeque for dinner. He never made it there. At approximately 3:00 on July 30, 1975, witnesses saw Hoffa getting into a maroon-colored Lincoln Mercury occupied by three other men and leaving the restaurant parking lot in the vehicle. After that, Jimmy Hoffa disappeared from site, never to be seen again. Over 35 years later, Hoffa’s disappearance goes down on the most notorious unsolved crime in the annals of American history. In 1982, the state of Michigan officially issued a death certificate to his family and legally declared him deceased, yet the civic formality did little if anything to quell the unquenchable thirst for information on the specific circumstances that ended with Hoffa’s almost-uncertain violent demise. Theories and explanations for what actually happened to him have abounded since, ranging from the absurd and hilarious to the logical and likely. However, it’s still remains an open case with no charges ever being filed against anyone. One thing that was known for sure at the time Hoffa went missing was that he had a lot of powerful and venomous enemies that all had a lot of reasons to want him out of the way. 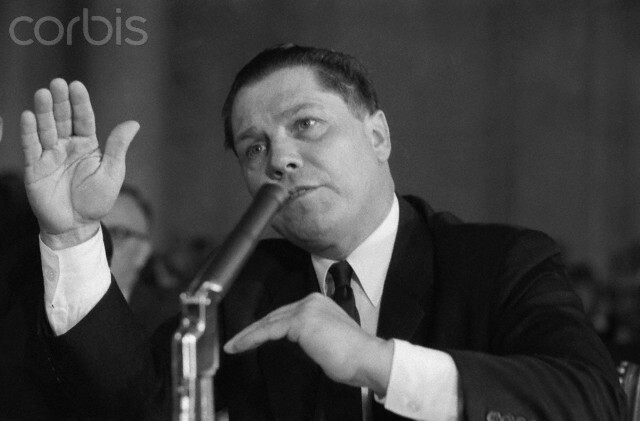 For all of his good qualities, possibly Jimmy Hoffa’s biggest flaw was his outright stubbornness and penchant for challenging authority at any and all costs. In the end, it is without a doubt what got him killed. James Riddle Hoffa was born on Valentines Day, February 14, 1913 in Brazil, Indiana, where his father was a coal miner and his mother washed laundry for a living. When his dad died of lung cancer when he was seven, his mother took him and his four brothers and sisters, first for a two-year stint in Clinton, Indiana before permanently landing in Detroit in 1924 just after Jimmy’s 11th birthday. Dropping out of school in the ninth grade, Hoffa made a name for himself around his working class west side neighborhood as a tough kid with a magnetic, yet ultra-aggressive personality. Wandering around the city’s pool rooms and back alleys for a couple of years, he finally landed a job unloading boxes of produce at the Kroger Grocery and Bakery Co., one of Detroit’s biggest corporate entities at that time, when he was 16. His natural leadership ability and knack for confrontation shined brightly early on in his life and by the time he was 18 in 1931, he organized a headline-grabbing labor stoppage at Kroger dubbed “The Strawberry Strike”, that eventually led to Hoffa and his co-workers being unionized and given a raise. The gutsy maneuver gained him mass notoriety in the press and in the world of organized labor and within a year he was hired as an official organizer by the International Brotherhood of Teamsters, a union that specialized in protecting the rights of the nation’s truck drivers. He brought with him several of his co-workers from Kroger, a number of which would go on to become the anchors of his future powerbase centered out of Local 299 in the heart of Southwest Detroit. Behind Hoffa’s innate ability to galvanize the masses, he rapidly shot up the union ranks in the coming years, cementing his status by forging deep ties with members of the mafia, to enforce his territory. He was introduced to these men, shady underworld characters like Frank “Frankie Three Fingers” Coppola, Santo “Cockeyed Sam” Perrone and Angelo “The Chairmen” Meli, by his longtime girlfriend, Sylvia Pagano, one of the city’s most infamous gun molls of her era. Together, Hoffa and his friends in the mob built the once lowly trucker’s union into a juggernaut in the labor world with few if any equals. The shadowy relationship between the mob and the Teamsters was longstanding. The mob gave the Teamsters protection from strikes and an intimidation factor at the negotiating table and in return the union provided the mafia incredible influence inside its own ranks, not to mention nearly-unlimited access to its robust coffers. Seizing on the Teamsters’ previously embedded underworld connections, Hoffa cultivated increased activity between the two groups and used it to guide the union to epic heights. In 1952 at the age of 39, Hoffa became the youngest man to ever be elected to the Teamsters vice-presidency. Five years later in 1957 after president Dave Beck was convicted on federal charges of embezzlement, larceny and tax evasion, Hoffa was elected president, starting over a decade-long reign that would go on to make him one of the most recognized public figures in America and his beloved Brotherhood of Teamsters the largest, most powerful labor union in the world. Hounded by constant rumors of corruption within in his administration and rampant speculation about his links to organized crime, Hoffa tiptoed through the minefields for a while, but was eventually taken down due to an aggressive full-court press applied by the federal government that concluded with his imprisonment in 1967 on convictions off jury tampering, fraud and conspiracy in the illegally handling of his union’s benefits fund. Defiant to the bitter end, Hoffa refused to relinquish his presidency when he was shipped off to serve a 13-year sentence at Lewisburg Federal Penitentiary in Pennsylvania. Instead, Hoffa had his vice-president and right hand man Frank Fitzsimmons run things on his behalf when he was locked up and like an imprisonment mob boss, ran his regime from behind bars. 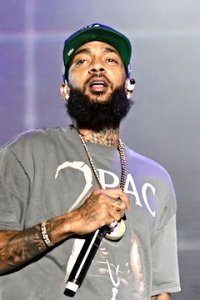 This indignant attitude and perceived lack of contrition for his behavior drove the government crazy and significantly undermined his chances of an early release. In early-June of 1971, Hoffa finally acquiesced and surrendered his leadership post, paving the way for Fitzsimmons to be elected as new head of the Teamsters later that summer and his own ticket to freedom being stamped before the end of the year. With the aid of Fitzsimmons and other powerful allies, Hoffa was able to finagle himself a presidential pardon and by December he was spending Christmas at home with his family. Unbeknownst to him at the time, his desire to reclaim his seat atop the Teamsters’ hierarchy was dead in the water prior to him even stepping out of his Pennsylvania prison cell. The mafia didn’t want Hoffa back in the union presidency. He was a high-maintenance ally, causing way too many headaches for their liking and often refusing to take orders. They preferred Fitzsimmons, a mild-mannered bureaucrat-type who was easily influenced and didn’t question instructions. Without Hoffa knowing it, the mob had Fitzsimmons negotiate a clause in Hoffa’s sentencing commutation that stipulated he would be barred from holding any official union leadership positions. Informed of the restriction in the days after his release from prison, Hoffa was incensed. Immediately, he clued in to what was going on; the the mafia and his former top lieutenant were trying to push him out of the picture all together. Never one to back down from a fight, in the coming years he would declare an all-out war against his former protégé Fitzsimmons and the same mobsters he had once relied on so heavily during his rise to power. It was a bitter feud that lasted over three years, escalated as it progressed and didn’t end until Hoffa was wiped off the radar permanently, executed in cold blood. Hoffa’s return to Detroit in early-1972 was big news. His star-studded coming home party, held on the day after New Years at the Raleigh House on Franklin Road and Telegraph in Southfield, at that time a very popular restaurant and banquet hall in the area, was covered by all the local newspapers and television channels. Surrounded by friends, family and reporters, he made it clear to everyone in attendance that his first and only priority from that point forward would be to fight his commutation’s restrictions and regain the Teamsters presidency at any and all costs. Keeping a relatively low-profile for the next year or so until he got off parole status with the prison board, Hoffa took his fight public, doing a series of interviews with the media stating his case and bad mouthing Fitzsimmons and specific rivals of his in the mob. He spoke about turning over a new leaf and wanting to rid the union of his organized crime influence. These words and antics didn’t sit well with his one-time mafia compatriots and several messages were sent through intermediaries warning Hoffa to watch what he was saying in the press. After a year of politicking and publically pleading his case at every opportunity available, Hoffa was starting to make significant headway in his cause. Word was spreading as early as spring 1974 that things were in the works to have Hoffa’s ban on running for office lifted by the court. Whatever beefs he was engaging in with the mob, did little to affect his popularity. Despite the fact that he was convicted of federal corruption charges related to his tenure in office, Hoffa’s approval amongst the Teamsters’ never waned. Everyone knew, with practical certainty that if the restrictions were lifted and he ran in the 1976 union presidential election, he would surely defeat Fitzsimmons in a landslide. The mob couldn’t and more importantly wouldn’t let that happen. They had too much invested in their relationship with the Teamsters to have it threatened – specifically lucrative financial interests in Las Vegas tied directly to control over the union’s hefty pension fund. It was feared that Hoffa, who had intimate knowledge of these shady dealings involving the mafia and the fund, since he helped broker the partnership in the first place, would agree to sever the relationship between the Teamsters and the mob if in turn the government allowed him to take back his post as union president. Furthermore, many worried that Hoffa was already attempting to curry favor and sway the court’s decision on whether the clause in his pardon was constitutional or not, by feeding the FBI information on both his friends and enemies throughout the nation’s criminal underworld. Friends instantly became enemies in this heated conflict that eventually became front page news and engulfed the lives of many in both camps for over two solid years. Violence and intimidation tactics were widespread across the board, neither side willing to give an inch and each always looking to gain leverage against the other whenever and however possible. The biggest and most-vocal adversary Hoffa faced in his quest to defeat Fitzsimmons and the mob and reclaim the Teamsters’ empire for himself, was Anthony “Tony Pro” Provenzano, a New Jersey based organized crime figure and labor union boss that was at one time a close confidant of Hoffa’s, but had since turned fervent enemy. Besides his legal fight with Uncle Sam over his candidate-status in the upcoming union election, the bad blood that had developed between Hoffa and Provenzano, who was capo in the Genovese crime family out of New York City and who gained his positioning in the union power structure due to an appointment by Hoffa personally a decade earlier, was the biggest hurdle for Hoffa to overcome in his impassioned efforts. Serving prison time together in Lewisburg back in the late-1960s, Hoffa and Provenzano started out as workout companions and bridge partners and wound up nearly killing each other in the penitentiary mess hall, coming to blows one day over money Provenzano felt he was entitled to from the union during his stay behind bars. Upon release from incarceration and back on the warpath, Hoffa was quick to understand that he would need to squash the beef if he wanted to return to the Teamsters presidency. Unlike on the inside where Hoffa had a leg up in the dispute since he was still running the union and oversaw Provenzano’s activity with the Teamsters, once back on the street, Tony Pro held all the cards. He controlled the East Coast delegates Hoffa needed in his pocket to beat Fitzsimmons in an election. Without Provenzano’s backing, Hoffa’s chances of winning his seat atop the union back took a major hit. 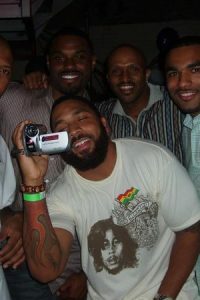 Hoping that bygones could be bygones, Hoffa requested a meeting with Tony Pro in Miami to settle their differences. The sit-down only made things worse. Similar to what had transpired back in Lewisburg, the pair of strong-minded and volatile men had to be separated inside a plush suite at a Miami hotel. Volleying threats back in fourth, the altercation concluded with Provenzano threatening to kidnap and kill Hoffa’s grandchildren and storming out of the room in a huff. After Hoffa went on television in February 1974 and bad mouthed Fitzsimmons and Provenzano, saying the entire sitting Teamsters leadership was controlled by organized crime, the mob had Fitzsimmons strike back by systematically eliminating Hoffa loyalists from the union ranks. His wife, son and countless close associates and supporters of the embattled Hoffa were fired from their jobs. It’s alleged in federal documents that Fitzsimmons and Provenzano created an entire squad of Teamsters-employed strong arms, headed by Roland “Big Mac” McMasters, without question the union’s most feared enforcer, to make it their every day mission to block Hoffa from returning to power. When one of Hoffa’s closest allies Dave Johnson, president of Hoffa’s old Local 299 on Trumbull Avenue in Detroit, wouldn’t give in to pressure from Fitzsimmons’ contingent to step down so he could be replaced by Richard “Little Fitz” Fitzsimmons, Frank’s son, McMasters and his crew of henchmen started making Johnson’s life a living hell. He started getting hang-up phone calls at all times throughout the night, he had his office at the Local riddled with shotgun fire while he sat at his desk doing work and in the summer of 1974 had his luxury sail boat, docked on the Detroit River, blown to pieces by an explosive device. Although Johnson would make a deal to spare himself any more violence by agreeing to let “Little Fitz” become his vice-president, the assault on Hoffa continued. Things reached a crescendo in the heated battle of wills in the spring and summer of 1975. According to FBI documents, at the beginning of that year Hoffa attended several meetings with ranking members of the mafia in both Detroit and Chicago where he was told to quiet his antics and retire from his pursuit of re-election. Unfazed, he responded by spewing more threats and refusing to stop campaigning in an attempt to retrieve his old job. That was the first nail in Hoffa’s coffin. The second nail came in May when Hoffa was called in front of a federal grand jury that had been empaneled to investigate “no show” jobs and mob influence at Local 299. On countless other occasions in the past he had snubbed his nose at similar government subpoenas, refusing to answer and pleading the Fifth Amendment. Not on that occasion though. Called to the stand on May 15, 1975, he testified in detail about what he knew and then was quoted by a local newspaper as saying that he was “damn proud” of doing it. Retaliating for Hoffa’s continued outward public flirting with the feds, Fitzsimmons threatened to put a number of notoriously Hoffa-loyal Locals into trusteeship. In late-June, Hoffa ally, Ralph Proctor, who would be murdered gangland-style eight years later due to an unrelated conflict involving the union and the mob, was jumped on the way to his car after a midday lunch meeting and beaten unconscious. Just two weeks later on July 10, Richard Fitzsimmons had his car blown up in the parking lot of Nemo’s Bar & Grill on Michigan Avenue, only a few short blocks from Local 299. Many believed Hoffa ordered the bombing. Others believe bombing was the work of people trying to make it look like it was Hoffa hoping that it would lead to his demise. FBI documents reveal that around this same time multiple informants state that Hoffa had sought to take out murder contracts on both, Frank and Richard Fitzsimmons as well as his hated-rival, Tony Provenzano. Either way, the incident served as the boiling-over point and paved the way for Hoffa’s imminent demise. These series of events which occurred over a little less than a two-month time span proved the final straws in the saga and put into motion inarguably the most talked-about and speculated upon mob hit of all-time. While practically every FBI agent that ever worked the investigation will tell you they have a pretty relatively accurate account of what happened to Hoffa that fateful afternoon on Wednesday, July 30, 1975, the case has never been officially solved. At some point in early-1974, a contract was issued on Hoffa’s life in a joint-decision made between Detroit mafia don Joe Zerilli, Chicago mob boss Tony Accardo, Pennsylvania Godfather Russell Buffalino and Tony Salerno, the front boss for the Genovese crime family. 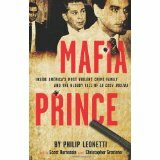 Because Hoffa “belonged” to the Detroit mob, Zerilli’s crime family was in charge of coordinating the details. 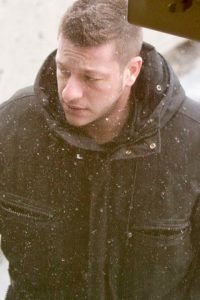 With Zerilli getting up in age, FBI records implicate his heir apparent and nephew, Giacomo “Black Jack” Tocco and the syndicate street boss Anthony “Tony Jack” Giacalone were the ones who most likely oversaw the planning. In the first weeks of July, FBI surveillance agents observed Salerno’s proxy, Tony Provenzano flying into Detroit to meet with Roland McMasters and Tony Giacalone, Hoffa’s contact with the Detroit mob at a hotel near the airport. Tony Pro and Tony Jack were related through marriage – Giacalone was married to the daughter of Giacomo “Big Jack” Provenzano, the Detroit mafia’s longtime crew leader in Saginaw and an uncle of Tony Pro’s. It is believed that the meeting of the minds at the airport hotel was held to finalize specifics for the execution. Since Hoffa knew he still needed Provenzano’s support to get back into office with the Teamsters, it had been decided that a purported sit-down with Provenzano so Provenzano could give his blessing for Hoffa’s election-bid, would be used as the lure. The mob knew full well that Hoffa’s love of the union far surpassed his hatred for Tony Pro and that the prospect of getting things squared away with Provenzano’s and securing his pledge of delegates would be a sufficient set-up strategy to get him out in the open. The assessment was spot-on. The only problem with the scenario was finding a sufficient place to meet, so the mob could get Hoffa alone and pop him. For months, Hoffa was refusing to travel to New Jersey to see Provenzano. His only caveat to the meeting was that Tony Pro came to Detroit to see him. 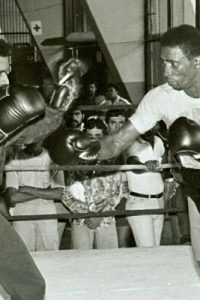 Although he never really intended on ever coming to Michigan, Provenzano passed word to Hoffa through Tony Giacalone that he would be there on July 30. The fact that William Buffalino, Hoffa’s attorney, Russell Buffalino’s first cousin, and a longtime alleged Detroit mob associate, was marrying off his daughter on August 2 in a lavish ceremony in Grosse Pointe and many underworld luminaries were expected to be descending on the city in the days leading up the nuptials, was the perfect excuse for his trip and Hoffa bought it hook, line and sinker. At a meeting over dinner that took place at Hoffa’s Lake Orion residence on July 26, Tony Giacalone and his brother, fellow mob capo, Vito “Billy Jack” Giacalone, informed Hoffa that the sit-down would take place at the Machus Red Fox, an upscale restaurant in Bloomfield Hills, one of the wealthiest bedroom communities in the country, at 2:00 in the afternoon. It was agreed that Tony Giacalone would be on hand to act as a mediator, although like Tony Pro, Giacalone had no intention of ever setting foot anywhere near Bloomfield Hills that day. An elite assassination squad was assembled in the days leading up to the supposed meeting and tasked with carrying out all the details of Hoffa’s kidnapping, murder and body disposal. According to federal documents, the hit team most-likely consisted of Provenzano lieutenants Salvatore “Sally Bugs” Briguglio and Tommy and Stevie Andretta, Russell Buffalino’s right hand man, Francis “Frank the Irishman” Sheeran and Detroit mobsters, Billy Giacalone and Raffealle “Jimmy Q” Quasarano. Briguglio, the Andrettas and Sheeran, a close Hoffa confidant, flew into Detroit on the morning of July 30 and readied to complete their assignment. Sheeran claims in his 2004 book, “I Heard You Paint Houses; The Inside Story of The Mafia, The Teamsters & The Last Ride of Jimmy Hoffa,” that he met Briguglio and the Andrettas at a house on Beaverland Street off Seven Mile Road in Northeast Detroit in the hours prior to Hoffa’s scheduled meeting with Giacalone and Provenzano, approximately 10 miles away, and then returned there at approximately at 3:30 and shot Hoffa in the back of the head as they entered the residence together for the alleged sit-down. Whether you believe Sheeran’s account – much of which came from a deathbed confession given to his lawyer and co-author Charles Brandt – most of those with intimate knowledge of the investigation concede at the very least he was closely involved with Hoffa disappearance. FBI documents note his appearance at several top-echelon mob meetings, thought to be briefings regarding the events surrounding Hoffa’s dispatching, as well as confirmation of his presence in the Detroit area on the day Hoffa went missing. 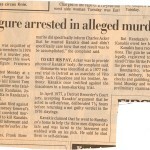 With regards to his assertion that Hoffa was taken and killed at the house on Beaverland, the FBI disregard the theory because the lack of DNA evidence uncovered in a forensic analysis of the home subsequent to Sheeran’s 2004 confession and the inability to trace the residence to anyone with any relation to the underworld. Hoffa left his waterfront property in Lake Orion at approximately 1:00 pm in his green Granville Pontiac and stopped by Airport Services Lines in Pontiac, a car courier business owned by one of his closest associates, Louis Linteau, known on the street as “Louie the Pope.” Linteau, a former Teamster, and Hoffa used to be enemies but had since mended their differences and by the time Hoffa left prison, Linteau became is unofficial appointment secretary. It was well known in both underworld and labor union circles that Linteau acted as a buffer for Hoffa and that if anyone needed a face-to-face meet with him they needed to contact Linteau first. The dinner meeting between Hoffa and the Giacalone brothers on July 26 where they informed him of the July 30 sit-down was arranged by Linteau and Hoffa stopped by his office on his way to the Machus Red Fox to check-in before he went to see Tony Jack and Tony Pro. Linteau was out to lunch when Hoffa stopped by so Hoffa left a message for him before departing for the Machus Red Fox at approximately 1:45. Arriving at the restaurant at approximately 2:00, Hoffa stood in the eatery’s foyer waiting for Giacalone and Provenzano to show up but they never did. Making small talk with a half-dozen restaurant guests and employees, Hoffa left the premises at 2:45 and walked less than 100 yards to a hardware story payphone at the shopping mall that the Machus Red Fox bordered. Phoning Linteau and his wife, Hoffa told them both that he had been ditched for his meeting and that he was going to leave immediately. Witness accounts from the parking lot place Hoffa being intercepted by a Lincoln Mercury carrying three other men on his way from the payphone to his car which was parked near the restaurant. After a brief conversation, Hoffa was observed getting into Lincoln Mercury and departing onto Maple road, never to be seen alive again. Those who saw the interaction between Hoffa and the men identified Sal Briguglio and Hoffa’s surrogate son Chuckie O’Brien as two of the three men in the vehicle, which was soon discovered to have most-likely belonged to Joey Giacalone, Tony’s youngest son. O’Brien, who was caught in the middle of the battle between Hoffa in the mob, being raised by Hoffa, yet also being very close to Fitzsimmons and the Giacalone family too, is believed to have been used as a pawn in the plot to get his beleaguered father figure out in the open so he could be killed. Not known as someone to be trusted with sensitive information, it is unlikely O’Brien was let in on all the details of the plan. 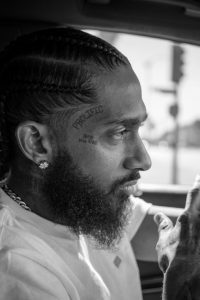 However, it’s thought he was used in the transporting of Hoffa from the restaurant to the execution sight because Hoffa, despite having had a recent falling out with O’Brien over issues related to Teamsters politics, would feel safe getting into a car with him, not believing the mob would involve him in a hit attempt. In his book, Frank Sheeran confirms O’Brien’s role as the driver of the car that picked Hoffa up, but stated he left before any violence took place. Admitting to driving Joey Giacalone’s Lincoln that afternoon, O’Brien said in interviews with authorities that he used it to deliver a 40 pound prize salmon to Bobby Holmes, a longtime Teamster and close associate of Hoffa’s. Known as a compulsive liar by friend and foe alike, O’Brien, the son of both Hoffa’s and Tony Jack’s ex-lover Sylvia Pagano, proved to be telling the truth in that one specific instance, as reddish stains on the backseat of the vehicle tested positive for fish blood. However, there were so many other inconsistencies and holes in O’Brien’s story about his activities that afternoon, the federal government is convinced of at least his peripheral involvement in the events that led to Hoffa’s unpleasant demise. Seized by the FBI in the days after Hoffa’s disappearance, the Lincoln Mercury currently resides in a federal evidence storage locker, having been examined thoroughly over the years that followed. Police dogs recognized Hoffa’s scent in both the car’s backseat and trunk and a single blood-coated hair which matched by DNA to hairs from Hoffa’s hairbrush was found on the floor. Further testing uncovered additionally-consistent DNA of Hoffa’s in the trunk and other parts of the car. Still there was not enough evidence to bring charges. All the principle suspects in the case either had ironclad alibis or alibis that could neither be confirmed nor denied. Both Tony Giacalone and Tony Provenzano spent the entire afternoon of July 30 in public places surrounded by masses of people. Giacalone was at his unofficial headquarters, the Southfield Athletic Club, located on the first floor of the Travelers Towers office building and owned by Giacalone’s and Hoffa’s mutual acquaintance, Lenny Schultz, an old time Jewish racketeer who often acted as a go-between for Tony Jack and the labor union brass. A man who made a habit to speak to as few people as possible on any given day, Giacalone was unusually friendly that day at his club as he stopped at chatted up several members and employees who he had never spoken to previously in between taking phone calls, getting a massage and a haircut. Around 2:30 that afternoon, O’Brien was observed meeting with Giacalone in a corridor of the club. Many in law enforcement believe this meeting was held to provide O’Brien with last-minute instructions, while O’Brien himself chalks it up to Giacalone just wanting to give him $200 as a graduation present for his son. Other FBI surveillance reports place Jack Tocco arriving at the Southfield Athletic Club at around 4:30, presumably to meet with Giacalone after the job was completed. 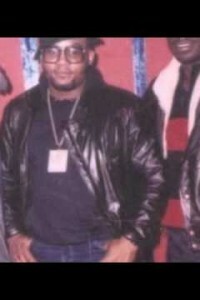 Detroit mafia lieutenants Peter “Bozzi” Vitale and Jimmy Quasarano, the syndicate’s east coast representatives, along with Sheeran were seen going to meet with Geneovses Family boss Tony Salerno at his headquarters, The Palma Boys Social Club in Harlem in the early weeks of August, in meetings that were viewed as “touch base” sessions with the New York mob. Like Tony Jack, Tony Pro had an airtight alibi. Amongst a sleuth of people, Provenzano was at a New Jersey Teamsters hall playing cards the entire afternoon of the 30th. The only suspect in the case to be unaccounted for that afternoon was Billy Giacalone, who lost his surveillance team around 11:30 that morning and wasn’t tracked down and located again until around dinner time. 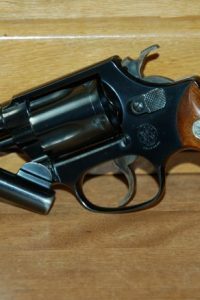 Because the Detroit mafia had ownership and easy access to a pair of crematoriums and several trash compactors within less than a half-hour’s driving distance from where Hoffa was last seen, FBI reports suggest the consensus opinion is that his body was taken either to a funeral home or sanitation company in the area and disposed of there. 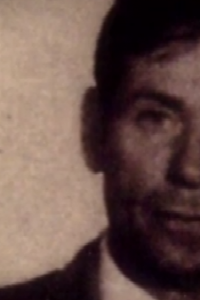 Informants developed in the Detroit FBI office implicate Jimmy Quasarano, the Motor City crime family’s soon-to-be consigliere as the man in charge of making sure Hoffa’s body was deconstructed as quickly as possible after he took his last breath and Billy Giacalone as the Detroit representative responsible for overseeing the actual assassination itself. Even though none of the principle characters in the murderous drama were ever charged with the crime itself, almost every single one of them either died or were imprisoned in the coming years on other racketeering-related charges. Detroit mob don, Joe Zerilli passed away as a result of natural causes in 1977. Tony Provenzano was convicted in 1978 of the murder of another Teamsters union official back in 1961 and died in prison in 1988. Tony Giacalone was sent to prison on charges of tax evasion and loansharking and spent seven years behind bars before dying a free man in 2001 of cancer while s till under indictment on massive racketeering case that was brought in 1996. 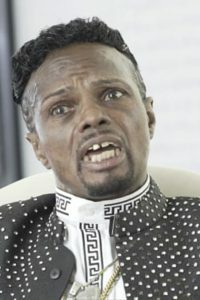 Russell Buffalino spent time in prison throughout the late-1970s and almost the entire 1980s for extortion and attempted murder before dying of natural causes at a Pennsylvania nursing home in 1994. Sheeran, Salerno and Zerilli’s nephew and predecessor Jack Tocco were each convicted of forthcoming racketeering charges and had to do time in prison, as was the same case with Billy Giacalone, Jimmy Quasarano and the Andretta brothers. 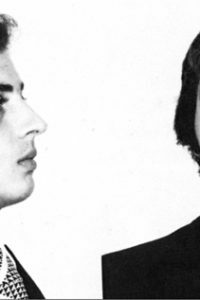 Sal Brigugio was gunned down and murdered on a street in Little Italy in 1978, when word leaked out that he might be cooperating with federal authorities against Provenzano and the Genoveses and could start divulging details about the Hoffa hit. In the years since Jimmy Hoffa first disappeared there have been numerous theories promulgated in regards what exactly happened to him and his body. Some of the more outlandish have been offered by imprisoned criminals themselves, often times in hopes of trading the information for their freedom. A former close associate of Tony Provenzano, Donald “Tony the Greek” Frankos, claimed that Hoffa’s remains were buried underneath Giants Stadium, in East Rutherford, New Jersey. A witness in an early-1980s congressional hearing on the Hoffa case testified that Hoffa’s body was taken to Florida and he was fed to alligators in a swamp. Another witness in the same hearing claimed Hoffa’s body was shipped to Georgia and buried underneath the Sheraton Savannah Resort Hotel, a construction project funded with Teamsters’ money. Other theories like Frank Sheeran’s have been given more weight by investigators. In 2006, the FBI in Detroit spent a week of time and a quarter of a million dollars of tax money to dig up a horse farm once owned by Roland McMasters based on information they deemed credible from Donovan Wells, a one- time McMasters associate, who succeeded in exchanging the information, which eventually failed to prove accurate, for his release from prison on a drug dealing conviction. Ralph “Little Ralphie” Piccardo, a credible informant out of the Genovese crime family and a one-time driver for Tony Pro, told authorities that Hoffa’s body was shipped in an industrial steel drum via truck out of Detroit and put into a landfill. Detroit-based researcher, Jeff Hanson, has possibly tracked Hoffa’s body disposal to a Metro area cemetery incinerator, where there are inconsistencies in the record-keeping for cremations done on July 30, 1975 and is less than a mile from the house Sheeran state’s the murder took place at. A number of FBI informants indicated that Hoffa’s body was disposed in either one of the two area sanitation companies – Central Sanitation and Tri-County Sanitation – owned by members of the Detroit mafia. One of the more unknown, yet most plausible theories around the exact details stems from a theory developed from group of retired FBI agents who worked the case in the 1980s, but don’t wish to be identified. It is their belief that Hoffa was taken to the residence of Detroit mafia soldier Carlo Licata, a mere two mile drive from the Machus Red Fox down Telegraph Road and killed there, before having his body transported and cremated at Bagnasco’s Funeral Home in St. Clair Shores. Salvatore “Sammy B” Bagnasco, the owner of the aforementioned funeral home, and Carlo Licata were both brother in-laws to Jack Tocco, who at the time of Hoffa’s disappearance was “acting boss” of the Detroit mob and son in laws to Black Bill Tocco the founder of the mafia in Michigan. A comment made to Frank Sheeran from Russell Buffalino seems to support the idea that Hoffa’s body was disposed of at Bagnasco’s. In his book, he recounts an incident in New York City where Buffalino informed him that Hoffa’s body was “cremated at a funeral home in Detroit that was closely associated with the Detroit people (mafia) were close to”, following a run-in with Pete Vitale on the street leaving a restaurant meeting with Fat Tony Salerno in the weeks after the Hoffa hit. Licata’s house was known by authorities to be a frequent meeting spot for the Giacalone brothers and Hoffa, since it was centrally located in between Hoffa’s house in North Oakland County and Tony Jack’s headquarters at the Southfield Athletic Club in South Oakland County. A transplant from California, Licata also had easy access to an incinerator at a local sanitation business he co-owned with Jimmy Quasarano. To add more mystery and intrigue surrounding the theory, Licata was found dead at the same residence, which was nestled on a hill in a secluded estate at 6380 Long Lake Road, on July 30, 1981, the sixth-year anniversary of Hoffa’s disappearance of multiple gunshot wounds to the chest. Even though the death was officially ruled a suicide by the Oakland County Medical Examiner, many who worked the case in its latter-stages have their doubts. When some of these agents began asking their informants on the street about the theory they received resounding positive responses. According to these men, it is common belief on the street in Detroit that Hoffa’s disappearance and Licata’s death were at the very least loosely connected. 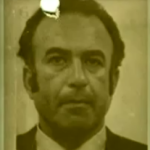 Carlo Licata was the son of Nick Licata, the former don of the Los Angeles mafia in the late-1960s and early-1970s. 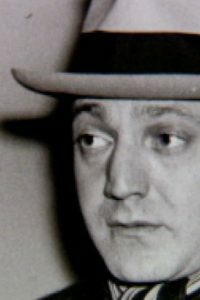 Nick Licata had become a made member of the mafia in Detroit in the 1930 but fled to the West Coast due to a falling out with Joe Zerilli and Black Bill Tocco. Hooking up with the mob in Los Angeles, Nick ascended quickly up the ranks of the California mafia and by the 1950s was in place to be a future administrator. The only problem that arose with Licata’s rise up the latter was his feud with Zerilli and Tocco in Michigan. Zerilli sat on the mafia’s national “Commission” or unofficial board of directors and if Licata wanted to one day become a don himself he had to make the peace. In 1953, Nick Licata made an arrangement for his son, Carlo, who had recently made his bones in Los Angeles by killing the attorney of legendary California Jewish crime boss Meyer “Mickey C” Cohen, to marry Tocco’s daughter and Zerilli’s niece Josephine. It was a huge ceremony in Downtown Detroit that drew mob chieftains and dignitaries from across the country and officially served to bury the hatched between the two families. 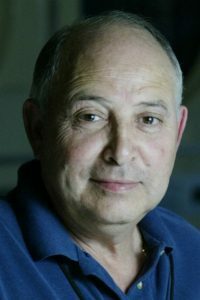 Federal documents related to the investigation of this theory indicate the informants told the FBI that at the time of his passing Carlo Licata was in a dispute with his brother-in-law, Jack Tocco over his treatment of Josephine. The informants allege that after a sit-down where Licata is told to stop drinking too much and start treating his wife better, he became belligerent threatened to use his knowledge of what happened to Hoffa as a bargaining chip. The FBI who hold the theory that Licata’s house was the location of the hit believe it’s possible Licata himself was done away at the exact same spot on the anniversary of the Hoffa murder as a message to everyone that no one is safe from harm, not even family relatives, if they even think about turning on the crime syndicate.